The interface of the application was not changed. But, if you open the contents of the application, you can see the settings list file, where it is possible to install sound threshold level and many other settings. 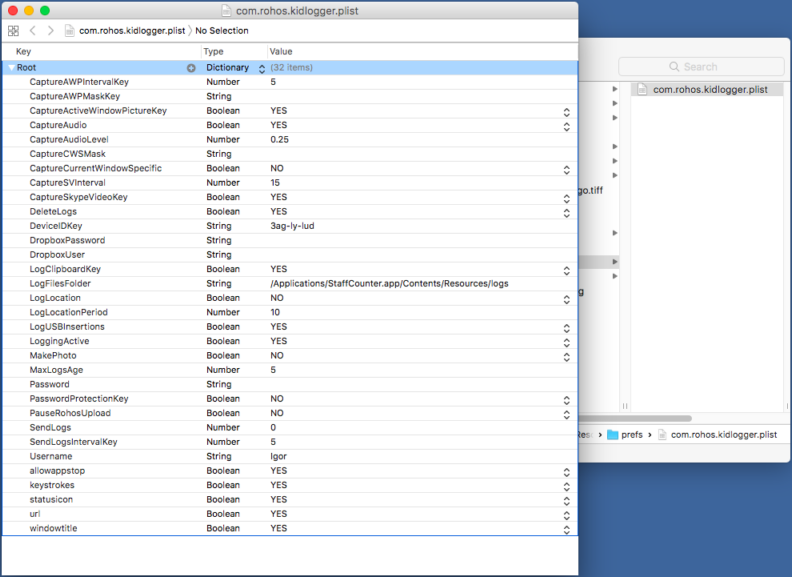 Many settings are possible to configure remotely, from your account on data.staffcounter.net. For example: to show / hide the icon in status bar, to allow/disallow user to stop monitoring, to record surrounded sounds, keystrokes, screenshots etc. 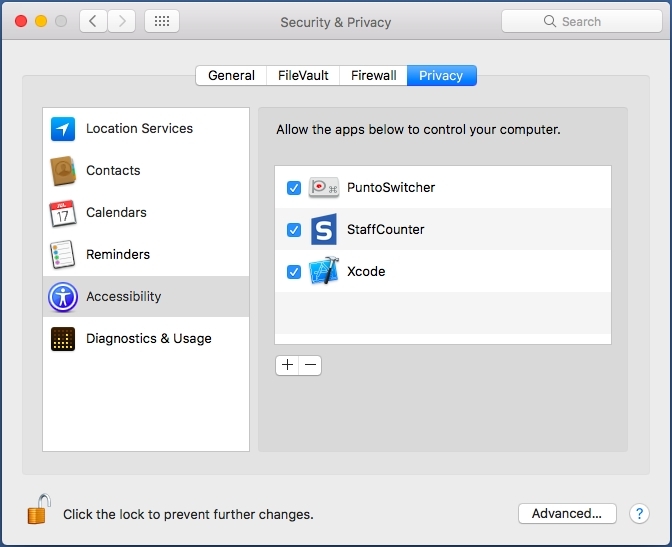 If you decide to record the keystrokes, you need to allow StaffCounter application to control the computer in System Preferences/Security & Privacy/Privacy/Acessibility.